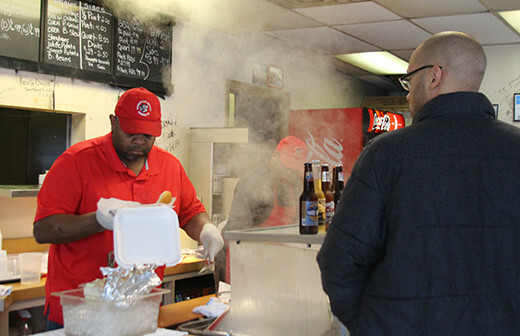 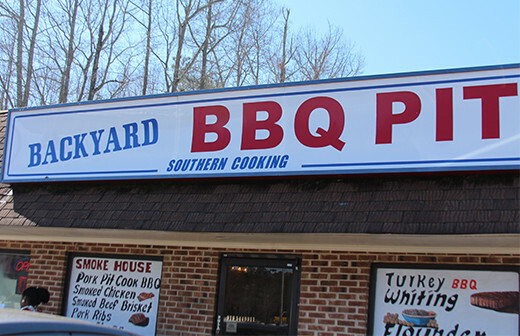 The Travel Channel's Man v. Food hails the open pit-smoked chicken and other Southern classics, but "it’s the succulent pulled-pork barbecue that really makes this family-run restaurant a hungry man’s haven." 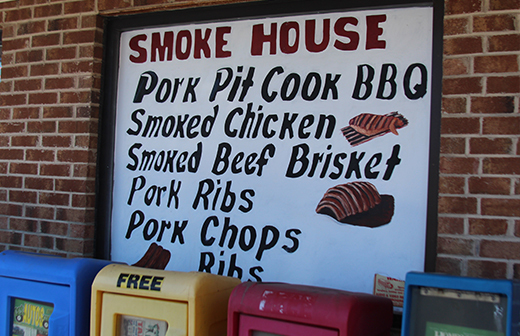 The barbecue is cooked over hickory and oak wood so the flavors seep into the meat and the smells fill the restaurant. 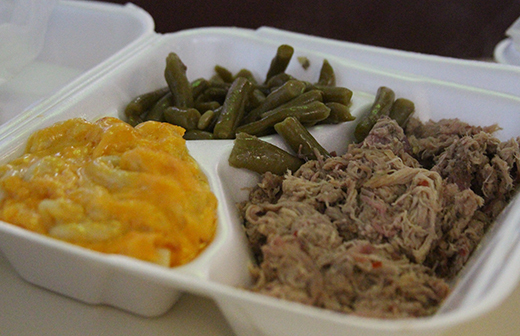 Sides include macaroni and cheese, collard greens, black-eyed peas, and other staples.